Automatic electric gates are becoming more and more popular every day. They are a status symbol, they add some security to your home. They also keep children and pets out of harm’s way by preventing them from running into busy roads. But while automatic gates are great, starting from scratch can leave you with a lot of questions. There is a huge range of gate automation and access control kits, systems and components from a wide range of manufacturers. And then you have to find the right gate automation engineer. So how do you choose what sort of gates and automation you want? How do you find the right installer? And how do you know your new gates are safe? It may seem like a minefield of possibilities and decisions, so here are our ten key gate automation questions for you to ask before jumping in. 1 How Will You Use Your Gates? In many homes, automatic gates are only used a few times each day. They will be operated in the morning as the family goes to work or school, and then later that day when they all return home. There needs to be a way to deal with deliveries during the day, but the gates may not be used much most weekdays outside early morning and evening. Automatic gates controlling access to commercial environments may be used much more frequently. Consequently, different motors capable of dealing with a higher usage cycle would be specified by a qualified gate installer. 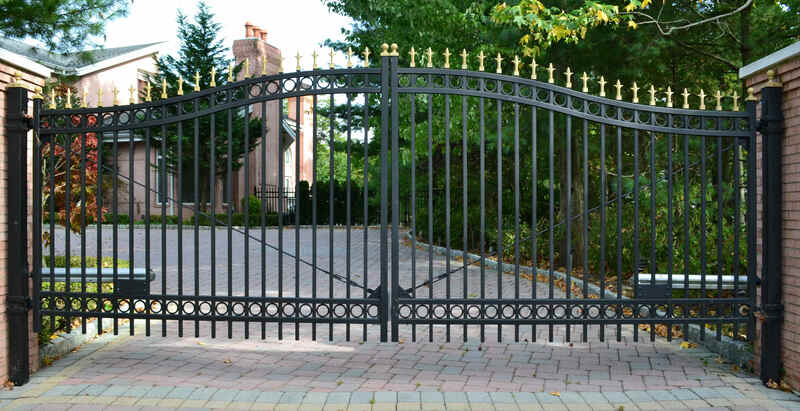 For most homeowners, gates are not heavy wrought iron or solid, thick hardwood gates and usage cycles are low. A good installer’s choice of lower power motors will reflect this. However, they should also warn you that automatic gates can be dangerous if used incorrectly. They should carry out a safety audit to identify and eliminate possible danger areas in their gate automation system design. And any competent gate engineers will also provide education for the new owners about how to use their automatic gates safely. Part of the use of automated gates involves how access through the gates is controlled. There are usually five places that this can happen depending on who wants to gain access and who grants it. Firstly, anyone who lives in the property who may need to operate the automatic gates should have a remote transmitter that opens and closes the gates at the touch of a button. As these are small enough to be carried in pockets or handbags, these are mobile gate controls. Secondly, modern GSM access control systems allow smartphone apps to control gate operation. With cameras in entry-phone systems, they even allow you to see on your phone who is at your gates requesting access. They can also do this from anywhere in the world where you have a mobile phone signal. Thirdly, the first fixed gate controllers are located outside the gates. These can include entry-phones or call buttons. Visitors use these to communicate with corresponding receiver handsets, buzzers or bells inside the property. There may also be a numerical keypad which allows anyone with a legitimate access code to open the gates by punching it in on the keypad. The forth location is fixed inside the house and is the receiver component of the communication system from outside the gates. This can also show you who’s at the gate if the intercom at the gate has a video camera. Handsets for speaking to visitors inside the house can also be cordless. The final possible location for standard access control system components is just inside the gates. This is where an egress button can be included for anyone leaving the property on foot to press to open the gates. However, these must not be accessible from outside the gates. There are security and safety risks if anyone can reach through the gap between the gate and the post or pillar to operate the button. When the gate starts to operate, it can trap an arm reaching through this gap as the space between the gate and post or pillar closes up. The force from the gate motors is strongest nearest the hinges and can cause considerable harm. 2 Who Will Use Your Gates? 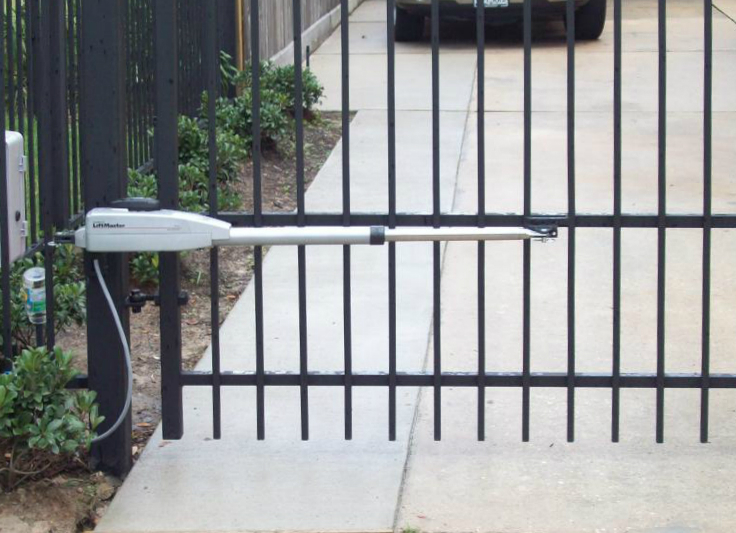 Most use of automated gates is controlled by and for the homeowners. As the owners and operators of the gates, you will also have been instructed on appropriate and safe use of their gates by the installer. However, younger children and pets are not great at understanding and implementing rules and both love to play. So, it’s always worth keeping an eye on children and pets playing near gates, particularly in case someone operates them. Automated gates are predominantly controlled by portable pocket remote transmitters and fixed access control equipment like keypads, intercoms and push buttons. Homeowners will have their own remote transmitters and codes for any keypads. But family members that don’t live in the property and visit regularly can also have either or both. The simplest way of thinking about this is if you have given them a key to the property, they should also have a way to operate your gates. If this is the case, these regular visitors also need safety training. Access also needs to be possible for different types of vehicles including cars, motorcycles and bicycles. A way to allow entry and exit on foot also needs to be included in the system design. Separate pedestrian gates can be specified, or the driveway gates can be set to part open for foot traffic. A big consideration for owners of automatic gates is access for regular or infrequent visitors including deliveries of supermarket supplies, post, milk, newspapers and larger purchases. Service and maintenance suppliers such as cleaners, repairers, builders, electricians, plumbers, decorators, gardeners/landscapers, equipment installers and binmen all need access through your gates onto your property. And in the event of potentially serious problems, access for emergency personnel such as the police, ambulance or fire services has to be provided without delay. While this ever-growing list of people who may need access has to be accommodated, one of the primary functions of automated gates is still security. Gates can help keep undesirable elements off your property. Unlike gates without automation, automated gates are normally closed and only opened to allow controlled entry or exit. And an access control system lets you talk to and even see who is at your gates so that you can decide if you will grant them access. 3 How Much Space Do You Have? Automatic gates need space to move through as they open and close. Swing gates open through an arc equal to each gate’s width, and sliding gates need space longer than their length to slide into. Any static obstacles such as walls, trees, your house or ascending steps in the area proposed gates will move through will prevent their installation. 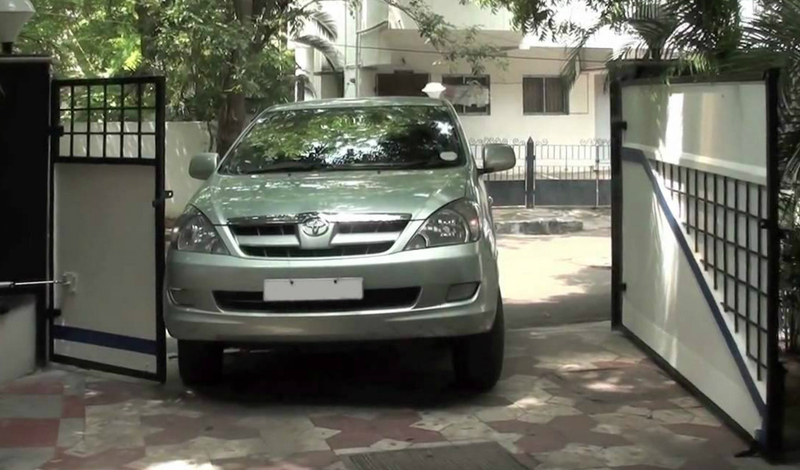 Cars have to be parked clear of the same area and the family should be educated about moving gates and what they can do and what should be avoided. 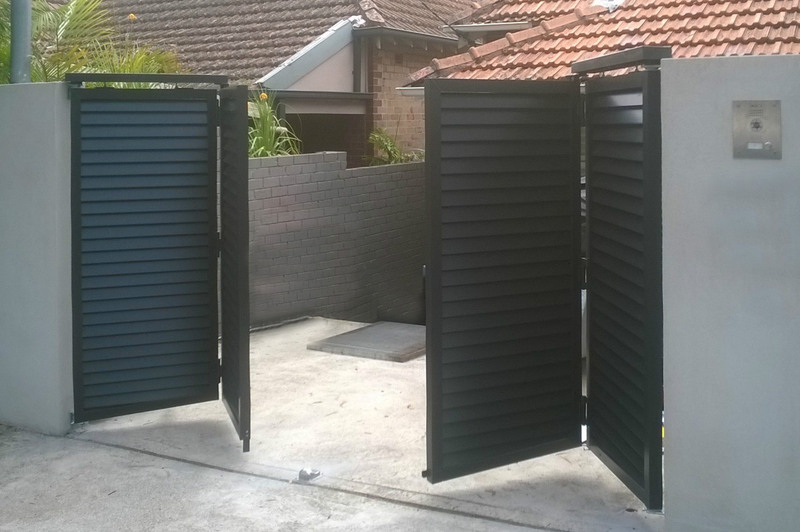 Bi-fold swing gates are effectively normal swing gates cut in half vertically. This means that they require about half the space traditional swing gates travel through as they fold in the middle as they swing open. The traditional way to install bi-fold gates is to have a track in the ground or a rail above the gates that guides the leading edge of the gates as they open and close. But overhead rails can be unattractive and limit the height of vehicles that can pass through the gates. Ground tracks need regular cleaning to keep them free from leaves and gravel etc. However, there is now a new kit that allows bi-fold gate installation without tracks or rails. As with any bi-fold gate, careful and accurate installation of the gates, hinges and the kit is vital for smooth operation. These gates also need a close stop for the gate to close onto. 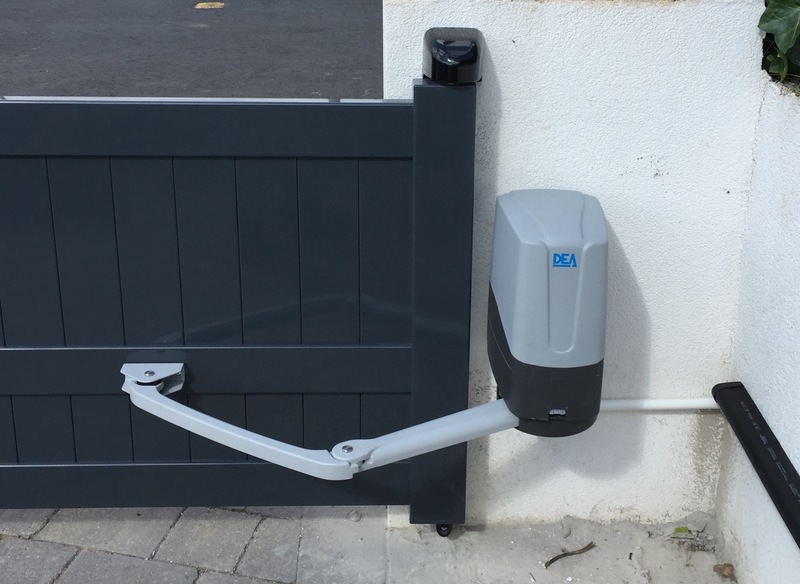 Once the kit or tracks is installed, bi-fold gates can be automated by any standard swing gate automation motors such as articulated arm, rams, linear screw or undergrounds. 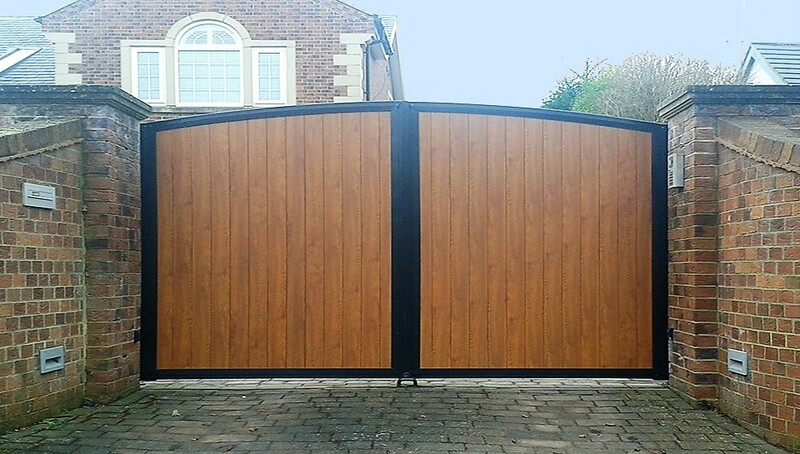 The complex nature of bi-fold gates means that there’s a limit to the size of gates that can be fabricated, and larger, industrial bi-fold gates need to be specially fabricated. Sliding gates need enough room for the gate to slide into to completely clear the entrance space between the pillars or posts. The alternatives involve splitting the sliding gate into smaller sections. This can be as follows. Telescopic sliding gates split the gate into overlapping sections that slide closed alongside the other sections. If the gate is split into two sections, it needs slightly more than half the space of the equivalent single slider. If it’s split into three sections, it will need just over a third the space of the equivalent single slider. Aside from the added complexity of installing multiple leaves and drive cables, a telescopic sliding gate system will require a separate track for each leaf to be laid in the driveway entrance. Bi-parting sliders are two gates that simply open in the middle and each leaf slides to one side. While space is needed both sides of the gate to accommodate each leaf, only just over half the space required for a single sliding gate leaf is required on each side. Round-the-corner sliding gates are made up of multiple vertical sections hinged on both edges. This allows the sections to follow a curved track. Where there is not enough room for a standard sliding gate to open fully, these sliding gates allow the gate to follow the obstacle rather than hit it. Round-the-corner sliding gates obviously require special curved track and the cost of the gates is more than the equivalent solid sliding gate. In all the above cases, the cost of the gates, hinges, tracks and installation will be higher than the equivalent pair of swing gates or single sliding gate with standard installation. However, if space is at a premium, and automated gates are highly desired, there are options for those willing to pay the extra cost for the added complexity. 4 Where Will Your Gates Be Installed? If your driveway slopes upwards as you enter the property, swing gates will ground themselves as they open inwards onto the rising drive. You could have outward opening swing gates. But there has to be enough room on your property for them to open outwards without obstructing public pavements or the road. The options here include special hinges that tilt the gate upwards as they open. Gates can be mounted higher than usual on their posts so that they don’t hit the driveway as they open. But this leaves a large gap under your gates which never looks right. It also doesn’t stop anyone crawling under the gates to get onto your property. You could have a sliding gate instead, but it’s also a bad idea to use sliding gates if your driveway slopes across its entrance. This means that the load on the gate motors changes as the gate slides downhill or uphill. If your gates are on low ground, a high-water table may prevent rainwater draining away from underground motors even if they’re installed with appropriate drainage pits. If gates are installed in exposed, windy areas, fully boarded (no gaps) gates will act like sails in the wind. This can mean that gate motors struggle to move the gates against the resistance of the wind. They may see strong winds as obstacles and back off, so the gates never fully open or close. In these situations, increasing the force applied by the motors overcomes this problem but creates dangerous gates that could crush someone. The viable options a good engineer will come up with include opting for a sliding gate instead. Alternatively, swing gates with spaces (open boarded), that will allow wind to pass through the gaps, can be installed. 5 What Gate Design Will You Choose? Gates come in a huge range of designs, colours and infill patterns. Gates can also be made of aluminium, iron or steel, various types of wood, a combination of any of these materials, and even PVC. But what combination of design elements works best for your house? Which will perfectly compliment the area you live in and create the biggest impact for visitors? Here are a few questions you could ask when looking at your options. Your gates are the first thing visitors and anyone near your home are likely to see. Do you want this first impression to compliment your home, garden and personality? Or do you want something that contrasts with everything else? 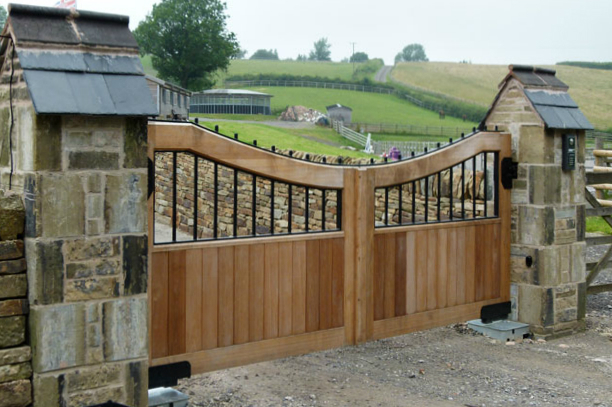 Most people go for complimentary gate designs but have a look at what you currently have and make a note of your home style – is it modern or traditional, typically English or with elements from another country? Also, are there strong colours or woodwork or metalwork elements? You might think that the answer to that question is simply your home. But your address also includes a street and a village, town or district of a city. All these could have a bearing on the gates you choose. Is the area you live in colourful, conservative, modern, traditional or something else? Is your home on a busy, residential road or a leafy, sparsely populated country lane? Do your neighbours have gates and what styles have they chosen? Which of their gates do you think work in the area and which do you think should be somewhere else? 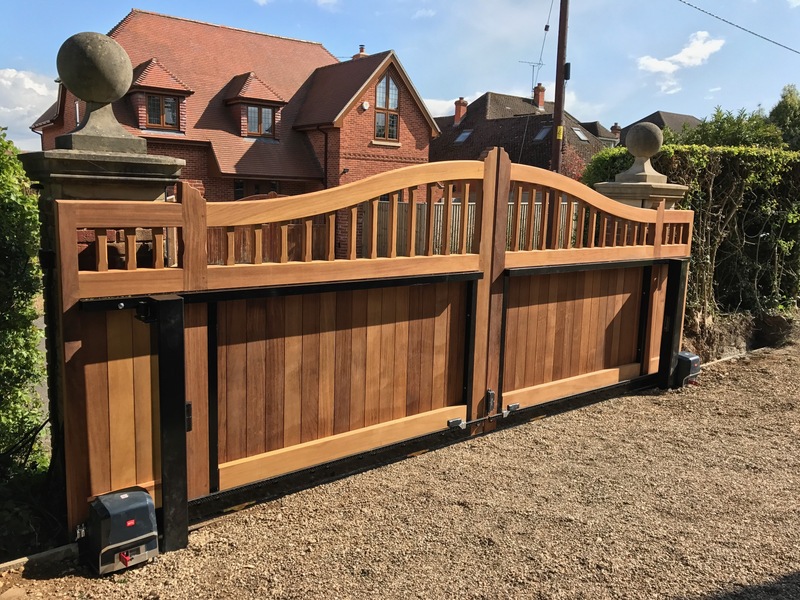 As different woods, metals and plastics all lend themselves to varying gate construction methods, each has a strong bearing on how the finished gates will look. Wooden gates are usually assembled from long flat sections of wood nailed or bonded together. This usually creates a flatter structure with the option for gentle curves. 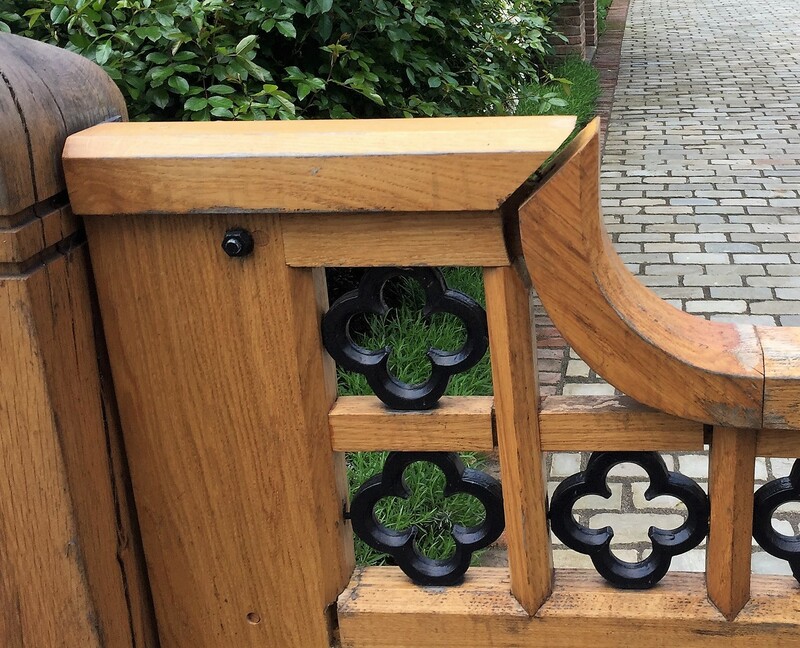 Wooden gates are also much more likely to be ‘close-boarded’ which means that there are no gaps. As wood is a natural material, it is often described as ‘warm’. Iron and steel are heavy but can be formed into intricate shapes. Gates made from these metals usually have spaces between thinner uprights. Ornate finishes to the tops and faces of iron and steel gates can give them a traditional and sometimes exclusive appearance. But some people feel that metal gates are ‘colder’ than wooden gates. Aluminium gates have corrosion-resisting benefits over wood and iron or steel and they can be made to look just like other gates. Aluminium is light, strong and naturally corrosion resistant. 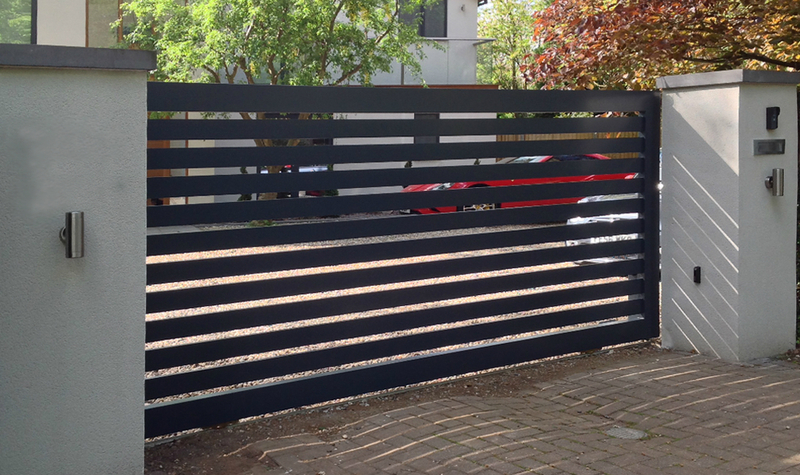 Aluminium gates have a surface coating that gives them the wood-effect or coloured finish. This significantly adds to the longevity of aluminium gates and many have guarantees of many years. Some people will always prefer the real thing and deal with the maintenance requirments. But if you like the look of wood or iron gates but don’t want the hassle of high maintenance, aluminium is the perfect alternative. PVC is the cheapest option for new gates but the impression they create is also cheap. If you want your gates to compliment your property positively, PVC gates are probably best avoided. 6 Will Your Gates Slide Or Swing Open? 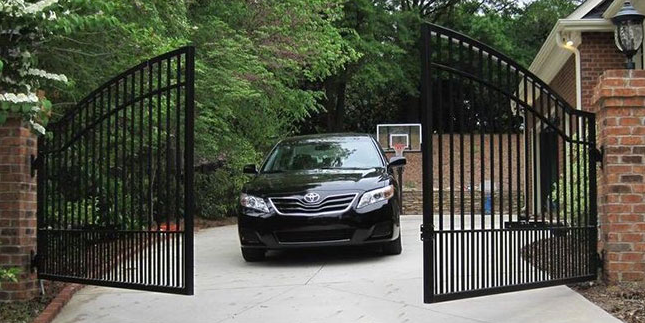 Gates come in many designs but for driveway gates there are two common configurations. These are either sliding or swing gates. So, which do you choose? 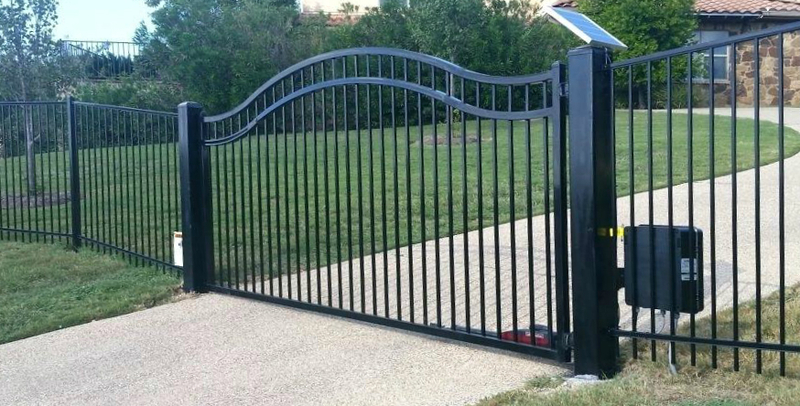 What are the advantages and disadvantages or each type of gates? Sliding gates are usually made up of one, larger gate that slides across the driveway entrance. Swing gates are usually twin gates that open in the middle and swing open into the driveway. However, a single sliding gate can be made to look like two swing gates. What Are The Differences In Operation? Sliding gates are moved along a track on wheels by a motor with a toothed cog on its side. This meshes with a toothed rack mounted along the length of gate and moves the gate when rotated. Swing gates are moved by motors moving mechanical arms and rods that connect to the gate. The motors are mounted on the gate pillars or sunk underground below the hinge point. Undergrounds are fairly inefficient as the force applied to the gate is close to the hinge rather than at the opening edge where much less force is required to move the gate. When swing gates have no gaps in their surface (fully boarded), a strong wind blowing on them will significantly increase the force required to open them. 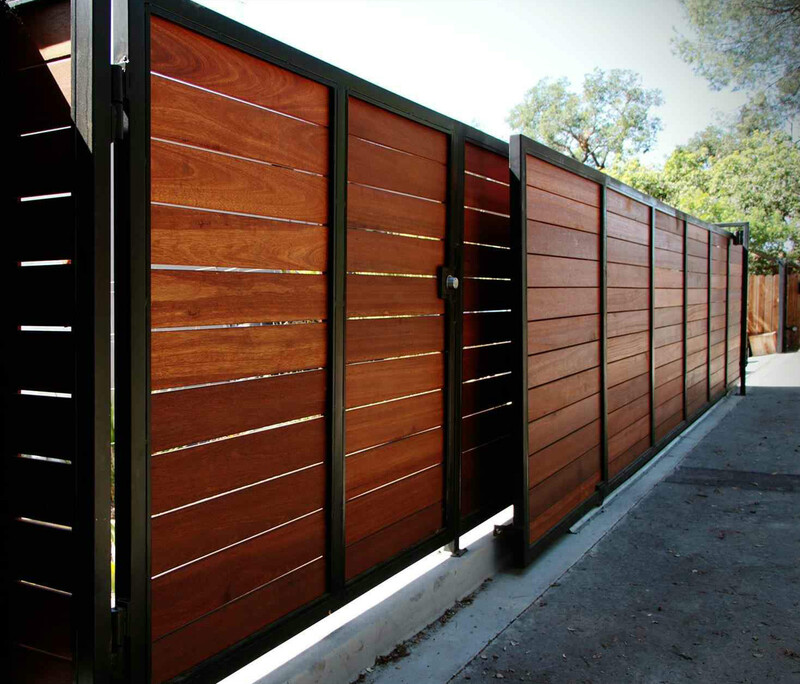 To open fully, swing gates move a shorter distance than a sliding gate. With a 4m gap between pillars, a sliding gate moves more than 4m, while the opening edge of each swing gate moves 3.141m to open 90 degrees. Despite the differences in motion type (sliding vs rotating) and motor action, swing gates are slightly quicker to open because of this. Any automatic gate system can be unsafe if it’s installed without due consideration of its use, who will have access to it and where the possible danger areas are. Sliding gates move across stationary surfaces so have the potential to cause shearing and crushing injuries. Swing gates can cause pinching and crushing injuries at the hinges, and impact and crushing injuries as the gates swing open. Sliding gates should not be installed on slopes as they require more force to push uphill and higher breaking force to stop them accelerating downhill. Swing gates and sliding gates both have risks. However, a qualified installation engineer, who fully understands the unique safety requirements of your installation, will design, assemble and install the safest possible gate system. 7 If You Choose Swing Gates, What Motors Will You Pick? Swing gate openers are either electromechanical or hydraulic. The main types of swing gate motors are hydraulic ram, threaded shaft, underground or articulated arm. There are also concealed in-post and wheeled motors, but these are used less in the UK. Hydraulic rams push and pull a piston mounted to the gate. The motor body is mounted to the pillar or post so that an extending piston opens the gate and a contracting piston closes the gate. Threaded shaft motors look very similar to hydraulic rams, but the gate mounting is on a threaded shaft inside the housing. As the threaded shaft is turned by an electric motor, the mounting moves along its length to open and close the gates. Threaded shaft rams are less expensive than other options. but all rams require careful alignment during installation. Underground motors are installed inside robust housings sunk into pits dug beneath the gate hinges. The only part visible outside the housing is the arm that is mounted to the underside of the gate. This is connected directly to the electric motor or hydraulic system that turns the arm and so opens and closes the gate. Undergrounds can be expensive as they require ground works, appropriate drainage and careful alignment as the arm pivot has to be in line with the gate hinge. Articulated arm motors use a jointed, two-piece arm usually mounted to the underside of the gate motor. The end of the arm is mounted to the gate and the motor body is mounted to the gate pillar or post. As the motor turns the arm, the gate is pushed open or pulled closed. Articulated arm motors allow more leeway with mounting tolerances but can require wider pillars for mounting. They also use an arm whose joint closes up as the gate opens, so users have to be aware of the risks of getting something caught inside the arm. 8 What Will Your Gates Be Made From? Once a rough idea of basic design has been arrived at, where the gates will spend their working lives can be considered. Gates are exposed to the weather, so they get wet and dry out and get wet again. Wood’s main failing is that it absorbs water when it’s wet and dries out in the sun. The only way to prevent this is to add a protective coat of paint or preservative over the surface of the wood to prevent it from coming into direct contact with the environment. If wood gets wet, it expands as it soaks up water and gets heavier. As it dries, it contracts and becomes lighter. This change in weight causes problems with hinges and the expansion and contraction plays havoc with any protective covering designed to keep water away. As wood expands the surface coating of paint stretches and may crack. Joints get compressed together and bolts elongate their holes. As the gates contract, the joints open up and bolts become lose in their holes. The ultimate effect is that more water gets through cracks in the protective coating to accelerate the process. The gates sag on their hinges, don’t meet in the middle and the gaps between joints get bigger. Ev entually, the gates start to rot. All of this helps to make beautiful new wooden gates, that used to impress visitors, look shabby within a year of installation. Iron rusts when it is exposed to water and air. Again, surface treatment will help delay the process, but rust is hard to eliminate. Aluminium gates don’t rust, warp, twist or rot. Gaps stay tight and fixings stay fixed. 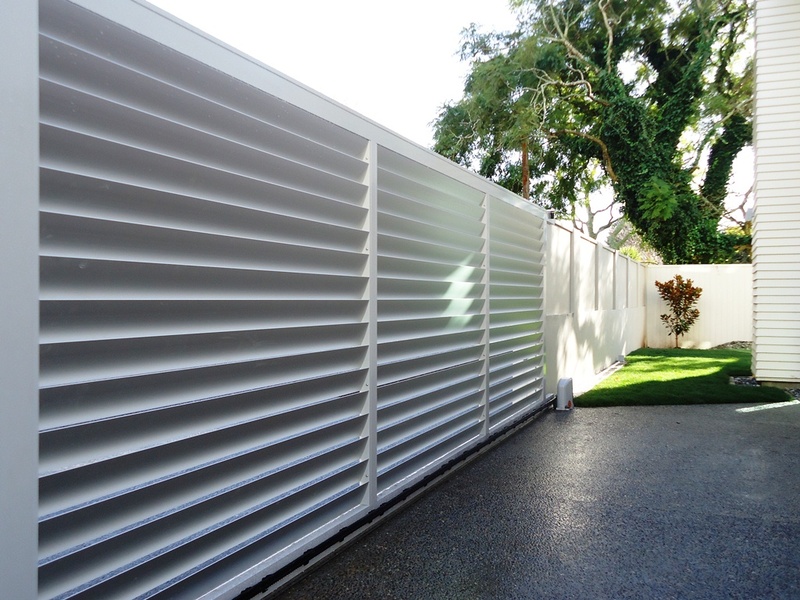 The surface finish that gives the gates their wood-effect finish is also part of their protection from the environment. Aluminium is naturally highly corrosion resistant but some manufacturers use a marine-grade surface coating that can allow them to give guarantees of up to 10 years. Aluminium gates can be designed and manufactured to look like wooden gates or ornate iron gates. They are light, so they don’t need powerful motors when automated or over-engineered hinges and locks. 9 Who Will Install Your Gates? If you’re thinking about new automatic gates or you want existing gates automated, one of your biggest decisions concerns the choice of gate engineer. Do you go for the cheapest option? Do you pick the engineer who is available the soonest? Or do you go for the gate installer who shows you the gate designs you like the most? Then do you trust the one who says you only need one set of photocells or the one who recommends rams rather than undergrounds? 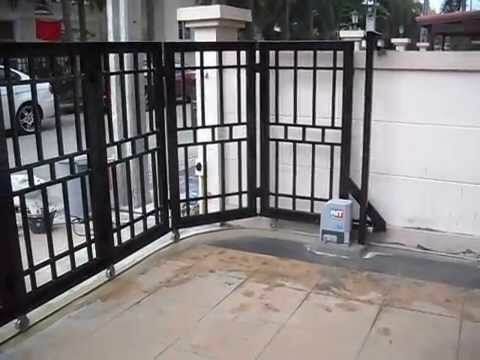 There is a huge range of gate automation systems and some are promoted with simple installation and programming set-up as key features. There is no doubt that these are aimed at the sporadic electric gate engineer and even the suitably experienced DIY installer. a) Badly installed electric gates can kill. The forces that can move the entire length of a large, heavy swing gate are considerable, particularly at the hinge. These forces can cause a moving gate to create potential risks from contact with the gate. These risks create the possibility for crushing, shearing, impact and other types of injury. The amalgamation of multiple gate automation components and the gates themselves creates a new unique piece of machinery. This needs to be CE marked to provide evidence of safety audits and procedures carried out during the design and creation of the new machinery. The legislation that gate safety is based on is complex and detailed. The installer is responsible for the end result and any incident caused by the gates. For this reason, any competent DIY homeowner should seriously consider the implications of innocently installing unsafe gates that ultimately seriously harms a family member. 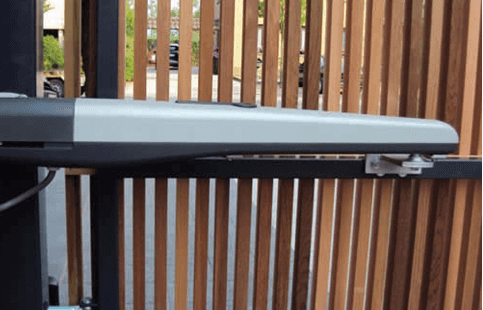 There is no doubt that an experienced gate automation engineer has a vastly superior knowledge of, and experience in gate safety than the casual or DIY gate installer. b) A gate engineer needs a long and varied list of skills and experience. Gate installers have to be able to work in wood with wooden gates and posts. They have to be able to weld steel brackets to iron gates. They have to understand how the gate hinge geometry is affected by the addition of gate motors and how the motor applies its force. Sliding gates can’t be installed on slopes without gravity affecting, and possibly overloading motors. Underground motors for swing gates need to be sunk in pits with adequate drainage and positioned precisely as they form the lower gate hinges. Sliding gates move on tracks laid across the driveway. Brick pillars often have to be built and then backfilled with concrete or constructed around steel pillars to provide the required strength. Gate motors are either 24Vdc or 230Vac and require a suitable power supply and safe wiring into the control panel along with all other electrical safety devices. In short, the gate engineer has a wide range of construction skills not found in many other fields. c) Gates are large and unwieldy and are affected by wind, particularly if they don’t have spaces in them (close boarded). Handling gates can be tricky. Iron and hardwood gates can be very heavy. d) The typical installation manual lists a series of tasks in a specific order. They very rarely detail the exact nuances of how each step should be carried out. 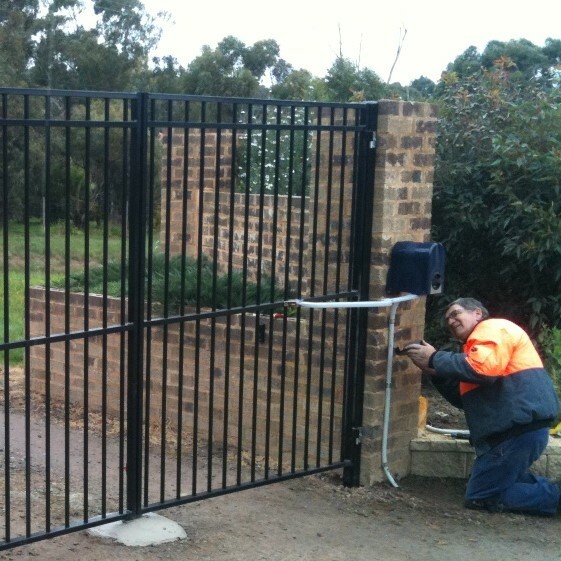 Without the experience of the qualified electric gate installer, installing a gate can take a long time. As this is a job that blocks the driveway access to the home, delays are best avoided. e) In normal use, electric gates hang on hinges and move through the air. They don’t come into contact with anything other than physical stops. Damage to gates made of wood, steel and aluminium is possible during installation unless great care is taken by installers used to handling these often awkward and heavy items. f) A qualified gate engineer will not only be able to design and install a safe gate automation system for you. They will also be able to suggest the most suitable configuration for your unique set of requirements in the first place. No location and usage requirements are exactly the same, and different options for sliding or swing gates and the various swing gate motors available is best decided in consultation between the homeowner and a professional. g) A qualified gate automation installer will be able to guarantee his work and provide future maintenance and emergency call-out support. h) A qualified gate automation installer will know to include manual release systems so that you can open your gates manually in the event of power failure or emergency. i) A qualified gate automation installer will understand how to employ the appropriate safety measures to reduce the risk of injury to a minimum. They will also be able to provide guidelines for all users of the gates to ensure unsafe practices are avoided. 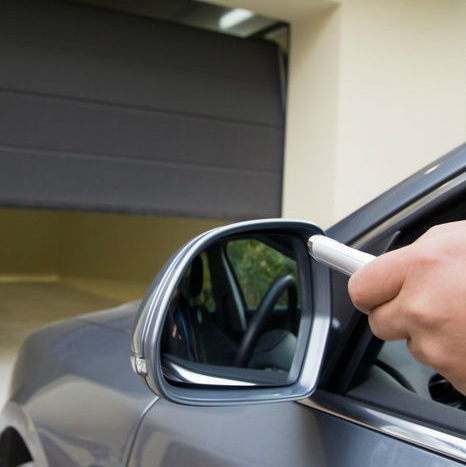 j) A qualified gate automation installer will know how to accommodate your entry and exit requirements on foot and in vehicles with minimum hassle. He will know how best to deal with visitors and what communication technology will be suited to your access control needs. It is possible today to be on the other side of the world from your gates and still be able to control them with a GSM system and a mobile signal where you are. However, you may just need a buzzer and a gate release button. 10 Who Will Look After Your Gates? A gate automation system is a powerful ‘machine’ designed to open and close gates regularly and safely at any time. With many moving parts and exposure to the elements, a gate automation system needs regular maintenance to keep it working as it should. Regular maintenance will help keep breakdowns to a minimum, but they can still happen. So, you need to know that your installer is close enough to get you quickly for an emergency repair call-out. They should also be able to offer you the manufacturer’s warranty on all components of any gate automation system and may also provide their own guarantees on the quality of their installation work. 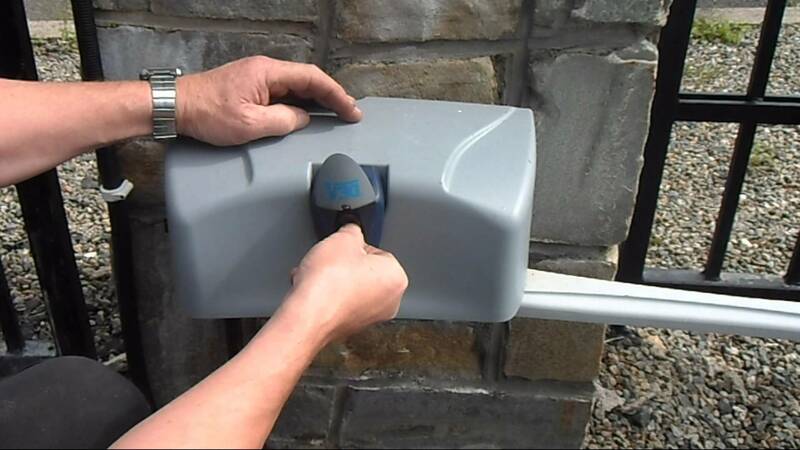 The individual components that make up a gate automation system are varied and often complex. Electric motors or hydraulic drives operate gears connected to arms or brackets fixed to your gates. Modern electronics are used in control panels, photocells, loop cards, safety edges and transmitters and receivers. It doesn’t matter what combination of sliding or swing gates, control panels, motor voltages, safety devices and access control is used. Maintenance is vital to ensure that your gates work smoothly and safely and to reduce the possibility of expensive and time-consuming automatic gate system breakdowns. The frequency of maintenance for any gate system may be affected by the frequency of use of the gates. Electric gates that are opened and closed all day long are more prone to wear-related issues than gates that open once or twice a day. But gates that aren’t used for a few days at a time may need more servicing that focusses on keeping components moving freely. Location of a gate automation system may play a part in determining how much servicing is required. If the gates are near the coast, strong winds and salt spray from the sea can reduce service intervals. 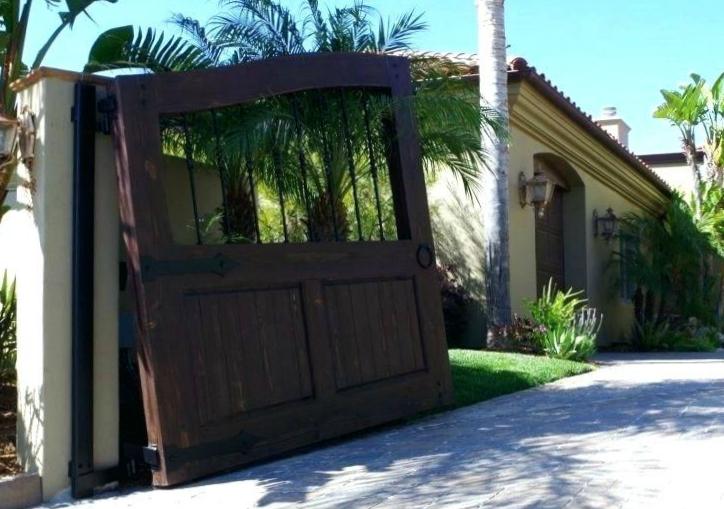 But the essence of good gate breakdown preventative maintenance is a service from an experienced gate installer at least once every year. Ideally, the gate engineer who installed a new gate automation system will advise on the level of servicing. If you have moved into a house with automated gates and are unsure about their service history, calling a qualified local gate engineer is a wise move. They will be able to assess the overall condition of the gate automation system and carry out any required servicing and maintenance work. · Ensuring underground boxes have sufficient drainage to prevent motors from sitting in water for more than half an hour. 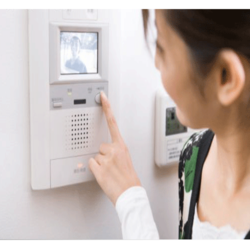 · All access devices should be checked – radio controls, keypads, intercoms etc. · The oil levels of any hydraulic operators should be checked and topped up if required. The area around the operators should be checked for any signs of leakage, which could indicate that the unit requires a service by the manufacturer. Automatic gates are assembled from separate components to build a new piece of machinery. This should be completed by a skilled gate automation engineer. And to the homeowner who has never invested in automatic gates, this is not a simple process.